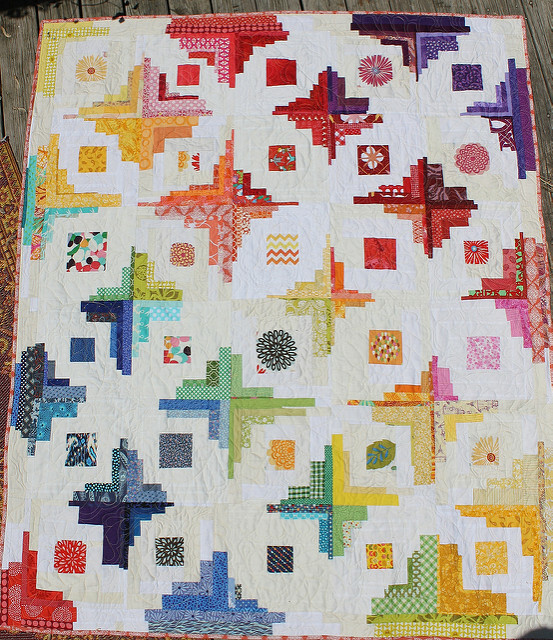 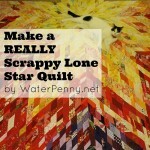 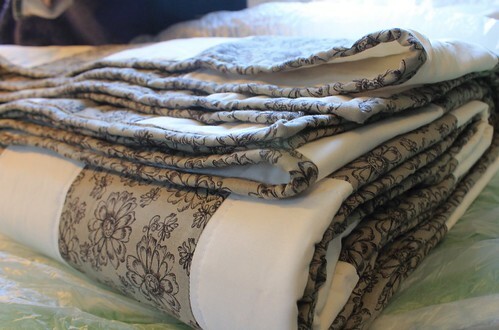 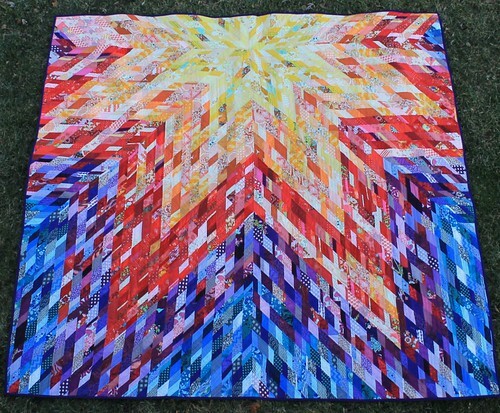 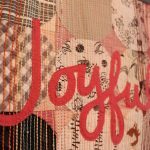 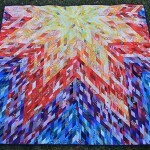 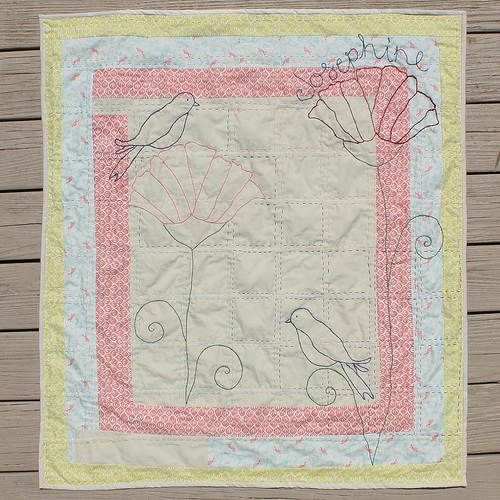 I grew up around quilting and a lot of quilts in my family were basic scrappy block quilts. 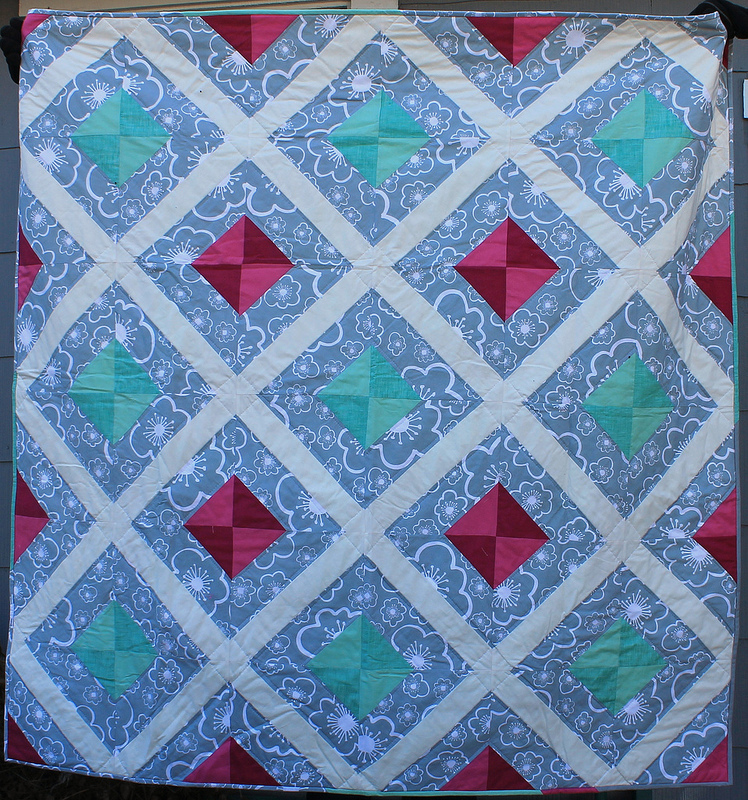 My grandma made me a quilt for my 16th birthday very similar to this one – but with pink – and I lovvvvve it. 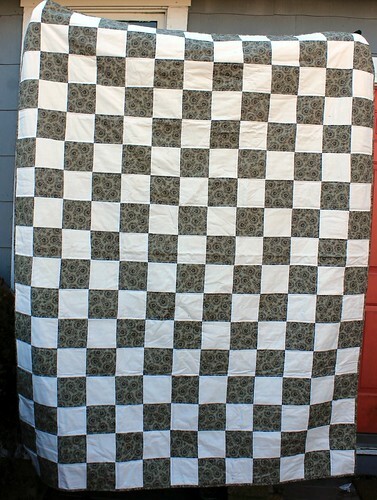 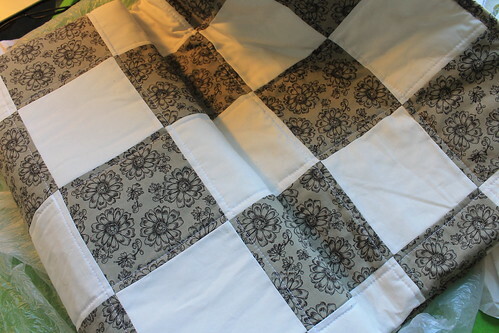 So while I am generally drawn to more edgy, modern quilts, when this simple gray and white checkerboard was requested, I was pretty into it – I love how homey and old fashioned it looks. 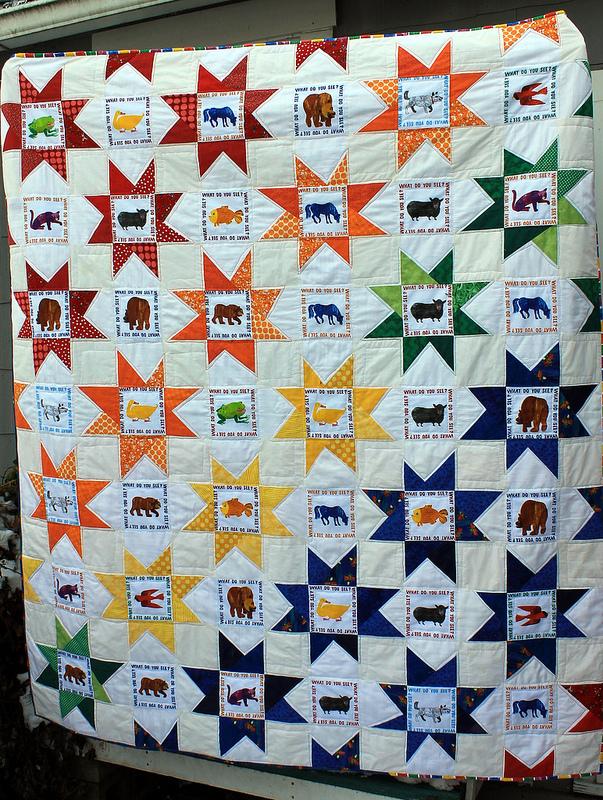 It doesn’t really shine here hanging up all formal – it’s not a formal quilt. 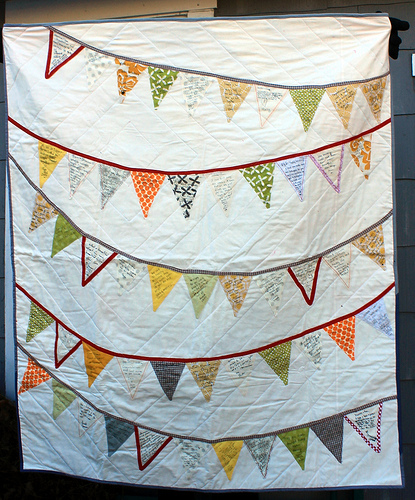 It needs some kids tangled up in it.